Whether you’ve been good this year or you’re just really good at being bad, it’s time to send your own list to Santa. Whether you’re shopping for loved ones or yourself, I’ve collected a little inspiration below. 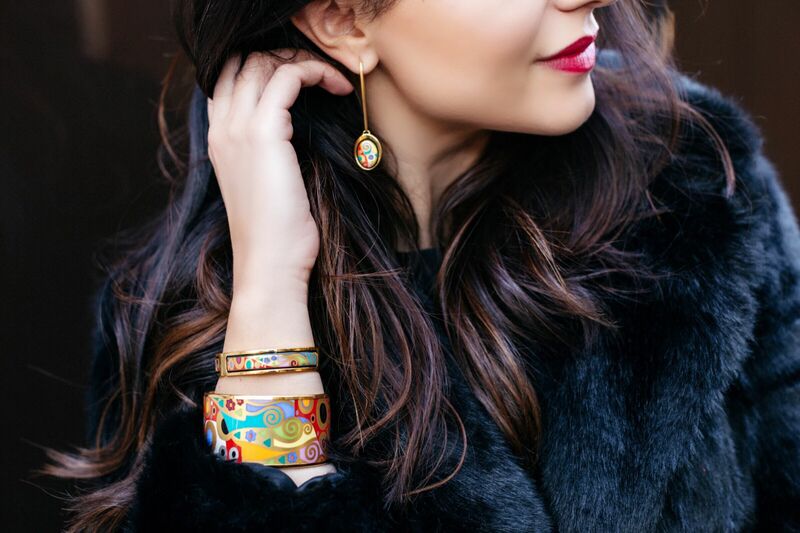 Though I love pretty much everything about the Holiday season, from music and decorations, to parties and Holiday style, shopping for gifts is definitely my favorite thing to do. Hopefully you’ll find something that tickles your heart. 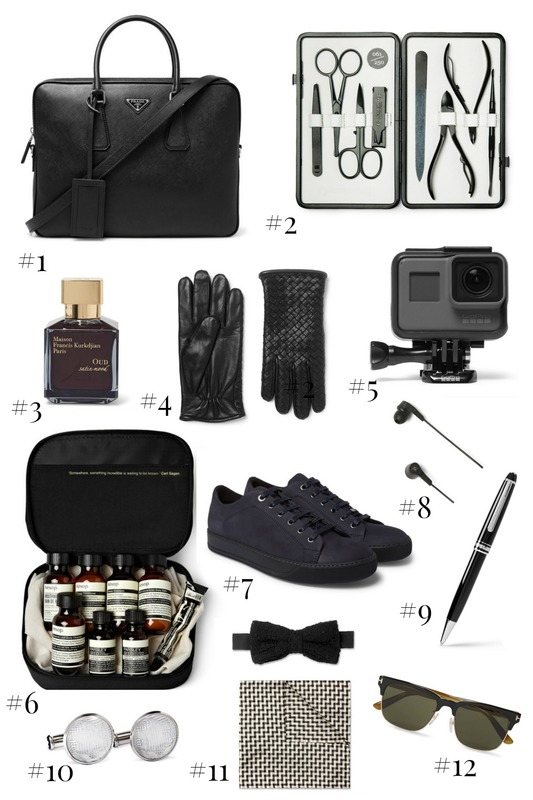 #1 Prada – Saffiano leather briefase; #2 Czech and Spaeke – manicure set; #3 Maison Francis Kurkdjian – Oud Satin Mood eau-de-parfum; #4 Bottega Veneta – leather gloves; #5 GoPro – Hero5 black camera; #6 Aesop – London grooming kit; #7 Lanvin – Nubuck sneakers; #8 Bando play – h3 in ear headphones; #9 Montblac – pen; #10 Montblanc – cufflinks #11 Marwood – cotton lace and silk bow tie and picket square set; #12 Tom Ford – sunglasses. 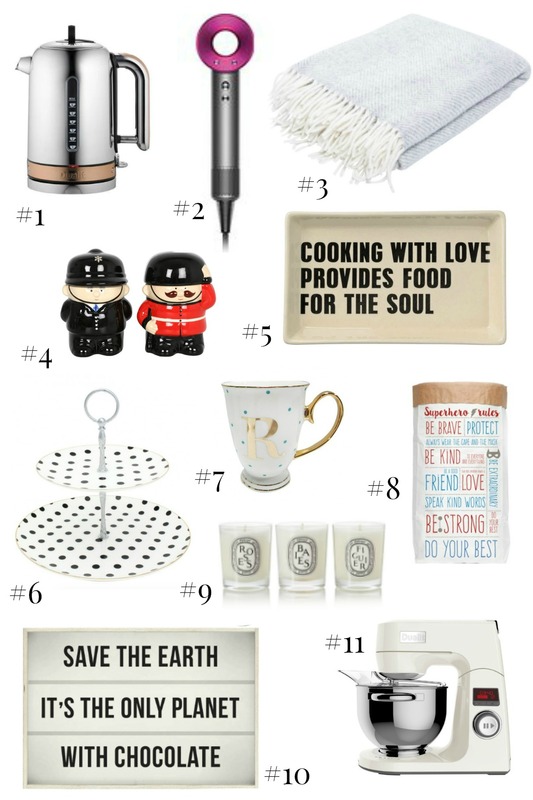 #1 Dualit – electric kettle; #2 Dyson Supersonic – hairdryer; #3 Woolplaid; #4 Policeman and Solder cans; #5 Quote plate; #6 LouLou spotty two tier cake stand; #7 Alphabet mug; #8 Superhero; #9 Diptyque – candles; #10 Lightbox: #11 Dualit stand mixer. 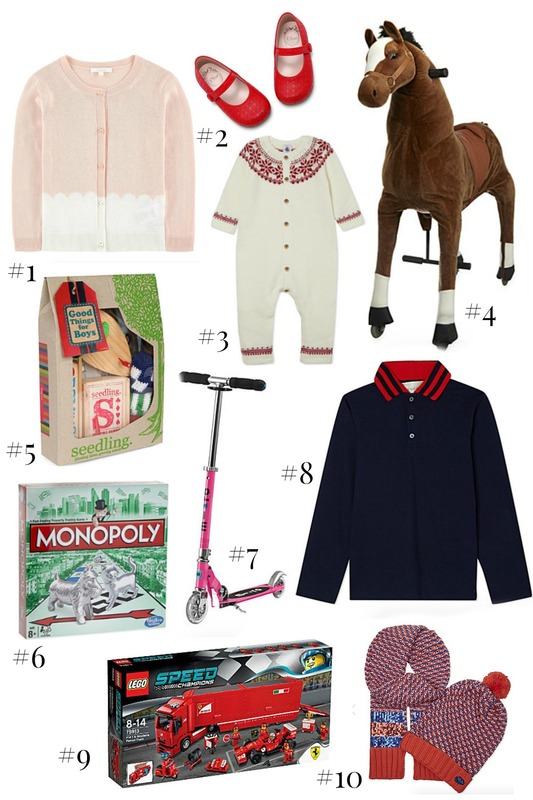 Great gift lists! Love Agent Provocateur lace body!